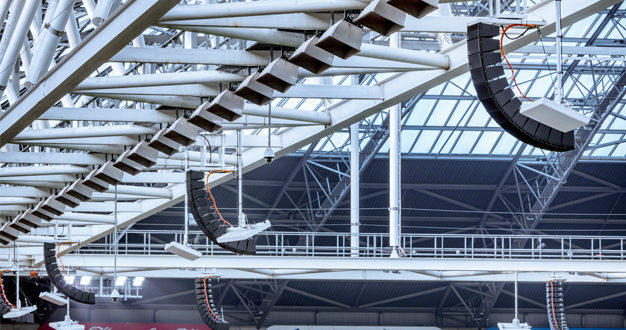 Amsterdam Arena, home to AFC Ajax and the preferred venue for the Dutch national football team’s international fixtures, has installed a new audio solution based on a d&b Y-Series system as part of an ongoing upgrade. Production manager at Amsterdam Arena, Tim Oosterop, and head of technology Martin Wielaart, aimed to satisfy three main objectives with the new system: Compliance to UEFA/ FIFA regulations for performance and intelligibility, and adherence to national and international safety standards for evacuation systems, address the venue’s atypical acoustics, as well as enhancing the stadium’s reputation as a host of other entertainment events, especially concerts. 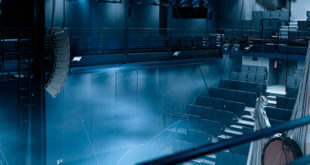 To address the requirements of safety and conformity the arena engaged the services of RH Consulting, a specialist practice that advised LOCOG for the London Olympics in 2012. 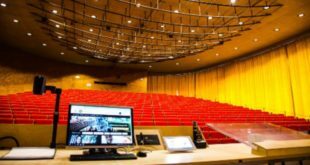 “To make the switch to concert configuration easy, three of the line array clusters pivot on a turntable,” explained Stefan Goertz, head of education and application support at d&b. “It’s a very reliable manual process; no need for complex electric motors linked to positional controls. At the end of the football season the arrays can be quickly and easily repositioned in readiness. “With the new d&b solution it can be off when not in use. At any time, 24 hours a day, 365 days a year, if you hit the evacuation button the system responds in half a second. 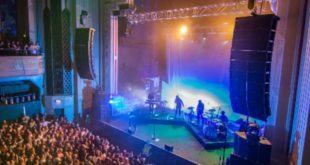 Not only that, for smaller events where perhaps just part of the stadium is in use, the system is zoned, so we have default programmes within the evacuation control customised for us by Ampco/Flashlight (the arena’s audio service provider), that trigger the evacuation system to move people out zone by zone.